Rise of Medical Negligence cases, with their criminal as well as civil liabilities, have indeed created an environment of fear among the medical professionals. With the medical negligence cases considered as a criminal act under the relevant section of IPC creates a greater terror that prevent many professionals from taking any difficult cases in hand. 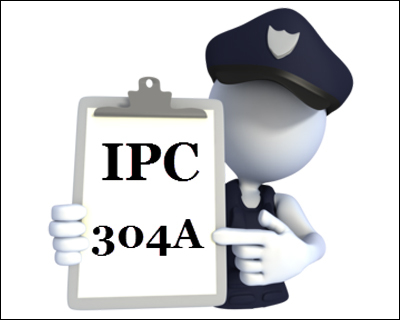 In particular, one such section that creates jitters amoung doctors is 304A of the IPC. The section deals with causing death by negligence.—Whoever causes the death of any person by doing any rash or negligent act not amounting to culpable homicide, shall be punished with imprisonment of either description for a term which may extend to two years, or with fine, or with both. Facts of the Case in brief. Patient S.N.Thakur (deceased) was admitted in Apollo Gleneagles Hospital on 07.04.2012 at 11:15 p.m. with complaints of multiple black patches on skin and bleeding from mouth. The victim patient was immediately taken to the emergency ward, where the doctor along with the nurse present, made an initial observation that the patient was suffering from ecchymoticpatches and bleeding from oral cavity. Condition of deceased patient was highly alarming and the doctor on duty had made a diagnosis that he was suffering from Chronic Myeloid Leukaemia and for immediate management they have administered injection Raciper and Zofar as the patient complained of nausea and vomiting.The consultant Dr. Soumya Bhattacharya over telephone advised the doctor on duty to admit the patient and also advised a series of tests. On the next morning when the patient was found unconscious, consultant Dr. Soumya Bhattacharya was informed and he advised for infusion of four units of platelets and also for shifting the patient to ICU. CT scan of the patient revealed cerebral haemmorage and blood report showed a platelet count of 17,000/cmm, neutrophil- 6%, blast cell-34%, RBC Morphology- Normocytic and Hypchromic. Unfortunately the patient was declared dead at 3.40 p.m in the afternoon. …it is perhaps needless to say that indiscriminate prosecution of medical professional of medical negligence is counter productive to the object and scheme. If during a surgical operation hands of a surgeon begins to tremoring due to apprehension of medical negligence and that ‘Sword of Damocles’ is on his neck, he cannot render his best to carry on life saving scalpel to perform an essential surgery. In case of administering treatment with medicine, if two views are accepted by medical science, and if he applies one of them instead of using other drug and due to his such choice if the patient dies, should the doctor be penalized?…. …..In my humble view, Section 304A of Indian Penal Code although does not bear the word ‘Gross’, but while dealing with such case Court must consider it, as ‘Gross’. It must be the causa causans otherwise doctor concerned would always be under the dangling fair of facing a prosecution and to refuse to treat the patient by referring the patient to some other hospital/nursing home, clinic, which eventually would lead to disservice to the society. Court should not encourage this approach…. The patient referred to is a case of chronic myeloid leukemia with platelet deficiency and failure because of which he suffered from multiple and significant hemorrhages in critical areas including brain. It is quite clear that this is terminal stage blood cancer involving bone marrow for which the maximum possible palliative treatment has been given by the attending doctor in consultation with the senior, competent and more experienced specialist in the field. It is most unfortunate and ridiculous and unjust in the superlative to accuse the doctor as negligent. It stands to reason that the nature and stage of the disease had been most adverse factors and nothing more could have been done to save the patient. It has become the order and fashion of the day for the unscrupulous people totally lacking in knowledge about medicine and the inherent limitations of the medical treatment to indulge in hurling baseless accusations at doctors. The honorable court pronounced the commendable and hallmark judgment that section 304-A of IPC should not be applied unless the negligence is gross. It is difficult to define what is gross negligence. But then, in this case of incurable terminal illness, there had been no negligence at all. Anyhow, the verdict is most welcome. A DANIEL COME FOR JUDGEMENT AND ALSO JUSTICE. Recently, a hallmark judgment was pronounced- “NO CURE IS NOT NEGLIGENCE”. It will meet the ends of justice if the honorable court orders for framing suitable laws to apply goondas act on persons who attack medical personnel accusing them as negligent, delaying treatment and for giving wrong treatment. In this case there is no merit to have even a trial. This case should have been DISCHARGED by the trial court itself. But crime no. 1675 Kollam(Kerala) Sessions Court V is regarding administration of Ampicillin injection intravenousy without any indication and the patient died of anaphylactic reaction. Test dose was NOT properly done, was not given in 15 minutes as advised on the vial, and once blood pressure and pulse was not record-able the drug history of Ampicillin was concealed in the reference letter. I am the complainant and I never discuss merit of any court order on any forum. I have high respect for the judiciary of our country. I do not know how this article has appeared in the media. What you see here is just a small part of the story and basically the interpretation of the court order by the medical dialogue team. Please go through my article \”Corrosion of Medical Ethics\” published on google very recently which is based on the true story. Take it just as a case report. I request you not to express your opinion so lightly in such a sensitive issue. I welcome your queries related with the case on my personal email \”drthakursk@gmail.com\”. There may be a negligence !